RIKLARMA. PROFESSIONAL MASTER seek with international relations, foreign trade and international business, with experience in conflict resolution, foreign policy for EUROPE, ASIA, AFRICA and AMERICA, international law and human talent management, knowledge on human rights. Important languages ​​ENGLISH, ITALIAN or MANDARIN and JAPANESE preferable. Research experience in international conflicts and global macroeconomic analysis. Availability to frequent travels and stays between 2-3 months in each country. Preference BACHELOR, indifferent man or woman. Salary Assigned to interview directly. Residence in the U.S., candidates from other areas may apply under verification process. Interested send your resume to: suhojadevida@riklarma.com, scoring in subject: DIRECTOR OF INTERNATIONAL RELATIONS. 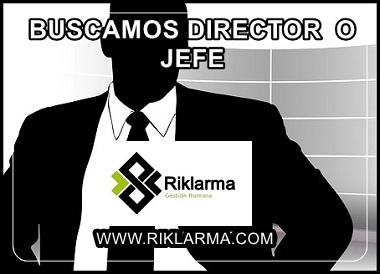 #miempleoconremarka, RIKLARMA Buscamos profesional con postgrado en bienes raíces y experiencia mínima 2 años y permiso estatal para comercializar bienes raíces, Hombre o Mujer, rango de edad indiferente, esencial vehículo, con disponibilidad inmediata, importante conocimientos reglamentarios y legales. Salario Informado en Entrevista. Interesados pueden enviar su hoja de vida a: suhojadevida@www.riklarma.com, anotando en asunto: DIRECTOR DE BIENES RAICES. #miempleoconremarka, RIKLARMA Seeking for Professional graduate in real estate and minimum two years experience and state permit to sell real estate, male or female, at any age range , essential vehicle, with immediate availability , important regulatory and legal knowledge. Reported salary in Interview. 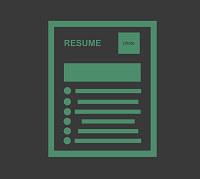 Interested can send their resume to: suhojadevida@www.riklarma.com , scoring on topic : REAL STATE DIRECTOR.